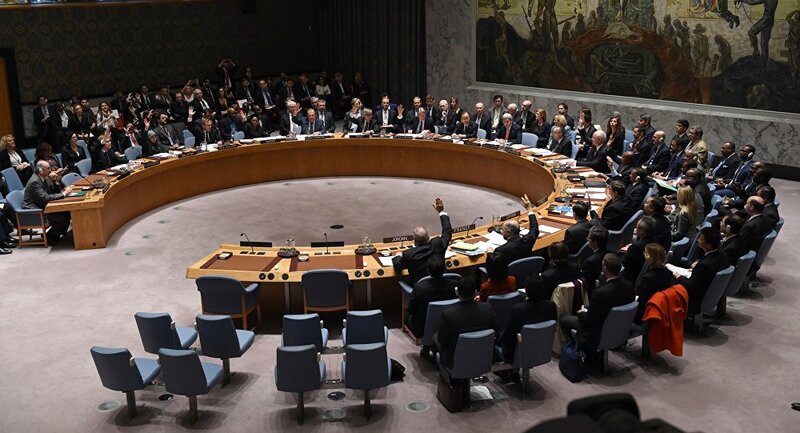 WASHINGTON (Sputnik) – The UN Security Council will vote on the Syria ceasefire resolution on Saturday at noon, Kuwait’s Ambassador to the United Nations Mansour Ayyad Otaibi told reporters. "We are working to have a consensus, draft resolution, and hopefully the council will be united, all of them, all fifteen will vote in favor of this draft resolution," Otaibi said on Friday. The ambassador said the vote will take place "tomorrow at noon," adding that the Security Council is very close to reaching an agreement. Earlier, Russian Foreign Minister Sergei Lavrov expressed concern over the proposed UN Security Council resolution on Syria, saying that it may aim to accuse Damascus of everything. The minister also expressed suspicions that western countries want to shift focus away from the necessity of starting the Geneva talks to launching plan "B".